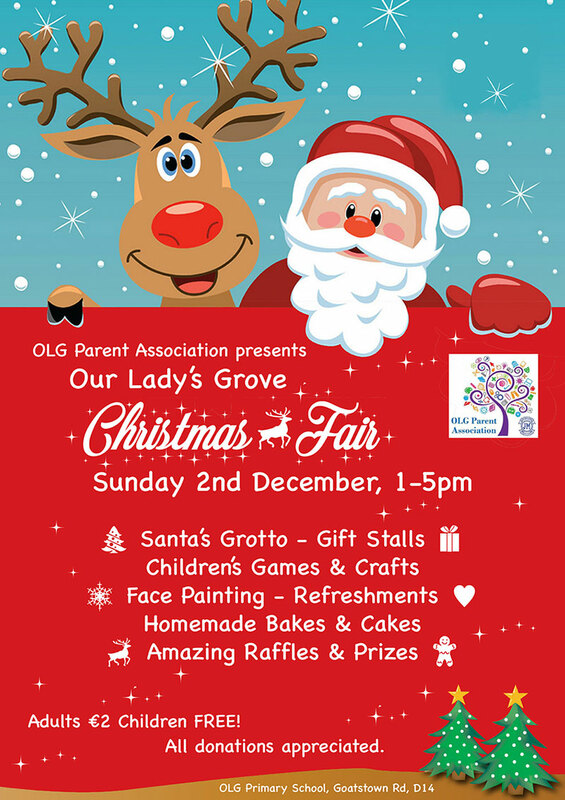 Our Lady’s Grove Christmas Fair will take place in the halla in the primary school on Sunday 2nd December, from 1pm to 5pm. Support this great local cause. 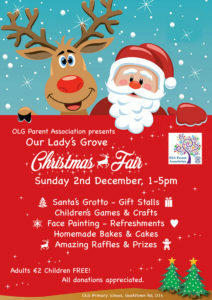 Santa’s Grotto, Gift Stalls, Children’s Games and Crafts, Face Painting, Refreshments, Homemade bakes and cakes, Amazing raffle prizes. Adults €2 and Children go free. All donations gratefully appreciated! Contact olgxmasfair@gmail.com, or you can find them on Facebook: www.facebook.com/olgxmasfair.